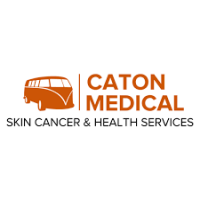 Caton Medical is an independent Skin Cancer and Procedural GP Clinic located in Wagga Wagga NSW and servicing the Riverina Area. It was opened in 2016. Skin cancer, Musculoskeletal Medicine and Procedural General Practice have been long term passions of Dr Tim Caton. Being centrally located in the Medical Precinct of Wagga, and having qualifed skin cancer doctors and procedural GPs working with us we can provide a comprehensive skin cancer assessment and skin cancer treatment service for you, your family, your friends and your co-workers. Along with this we provide procedural GP services such as Platelet Rich Plasma injections (joints and tendons), Ingrown toenail management, Lumps and Bumps excisions and Cosmetic Mole Removal. We work in conjunction with Complete Skin Wagga to provide medical input for the treatment of telangiectasias (facial vessels), inflammatory disorders such as Acne and Rosacea, and medical overisght of anti-wrinkle injections, and anti-aging aesthetic medicine. We can also treat Hyperhidrosis (excess under arm sweating) and migraine using injectable treatments. Our Medical Staff are GPs who have undertaken extra University Studies in Skin Cancer Diagnosis and Treatment. Dr Caton carries out procedural work both in his rooms and at Riverina Day Surgery (RDS). For his work at RDS (Flaps / Grafts and larger lesions/complex cases), Riverina Anaesthetic Services provides our anaesthia for these cases. In our skin cancer work we aim to detect melanoma and non-melanoma skin cancers at the earliest possible stage, resulting in more effective treatment with fewer side effects.